Petersens was founded by Rob Petersen in 2003. They are a small, award-winning team with extensive local and national experience in all areas of communication and marketing. They have a vast range of services includes public relations, advertising, graphic design, social media and event organisation. Petersens inherited their old PBX system from a previous tenant of their offices, the system was very unreliable breaking on many occasions and was affecting business. 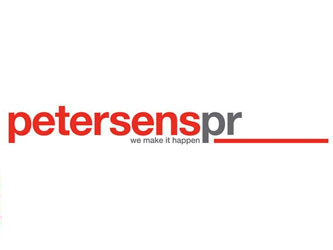 We worked with Petersens to resolve these issues whilst trying to keep the cost down as they had just moved premises. We provided a new broadband connection and implemented our VOIP solution to eliminate the old PBX entirely. Throughout the process we liaised with their previous supplier in order to make the transition as smooth as possible. Operational times were implemented to ensure calls were being routed as efficiently as possible. In hours queues are used and if calls are not answered by a certain number of seconds they are routed either to voicemail or to mobile. As with all installations we provided telephone training for all staff which allowed them to utilise the phones more effectively going forward. "A telecoms consultant recommended I contact you when our PBX phone system was letting us down. I am glad I did. Our new VoIP system is simple to use and all calls are crystal clear. Thanks to you, we now have a reliable phone system essential for our award-winning PR business. Since choosing RPS, my business is no longer held hostage by the availability of engineers to fix problems with the 'box on the wall'. As you host our phone system, a quick phone call addressed one minor issue which you resolved remotely within minutes. This echoed the first class service you gave during the installation and transfer from the previous provider. The whole team is delighted with our new phone system and ongoing service you provide. I will recommend you to other businesses so they can be delighted too"